A dog’s dental health is very important for many reasons and not just to keep their mouth and teeth healthy. 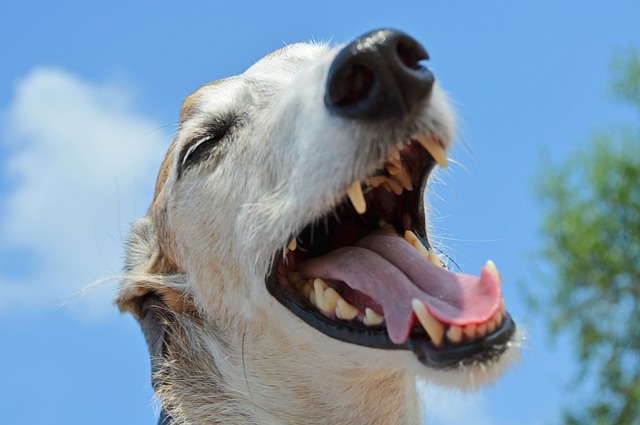 If a dog has any kind of tooth or gum problem the resulting bacteria could potentially pass into his bloodstream and affect his organs, so good oral health is vital. 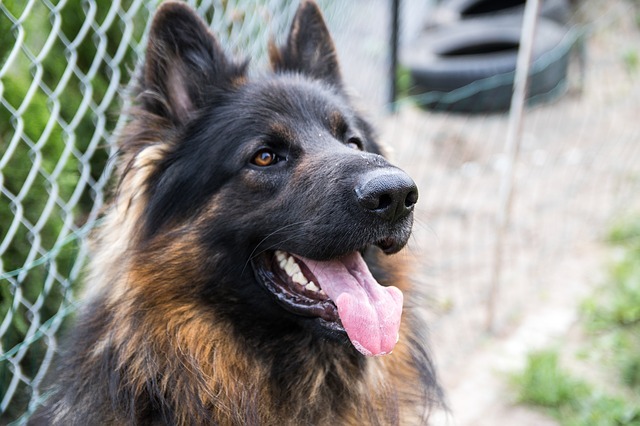 However, it is not easy to set about brushing a dog’s teeth every day and it’s also not always possible to know when a dog has teeth or gum problems as he can’t tell you, but the pain and resulting stress will have an impact on his overall health. So it’s vital to create a healthy dental regime for your dog and to take all possible measures and precautions to ensure good oral health. While wet food and meat is most likely your dog’s regular daily diet, make sure there is always dry food available in the form of tasty dog biscuits and kibble, for him to choose as well. Keeping a bowl of dry food always available will encourage him to eat some daily. Biting on dry food will help to scrape plaque and debris from your dog’s teeth and help to keep his mouth healthier than just consuming sticky wet food all the time which can get trapped between teeth and lead to bacteria build-up. It’s nice to give your pet treats every now and then but why not help improve his oral hygiene at the same time by only buying dental-friendly treats. Make sure the treat is big enough to require chewing, to get the full benefit for their teeth and gums. Look out for treats that are oral health friendly and list recommendations from oral health associations. Make sure that the chews or treats are suitable for the size of dog you have – if they are tiny treats then a big dog will most likely just swallow them whole, losing the benefit. There is nothing else a dog will enjoy more than being able to chew on a raw and natural bone – but as an added bonus, it will also help to remove dirt and bacteria from his teeth at the same time so a happy dog all around. Go for a marrow bone because it is softer on your dog’s teeth – never give cooked bones as they can break and become a safety problem. Always monitor your dog as he chews and take it away when it is chewed small enough to become a choking danger. Another option, particularly for younger dogs, is to provide them with a synthetic chew toy such as a rubber bone or nylon chew toy. They provide the same dental benefits without the extra calories for your dog. Make sure they are flexible and have a rough surface. You can try different kinds of toys to see which one your dog prefers. While your dog will like to keep his chew toy near him, it will require periodic checks to make sure it’s not getting too worn out or if it has been punctured and could become a choking hazard. If you spot any issues it’s time to take it away and replace it. You should also wash their chew toys regularly with soap and water to make sure it’s hygienic. If you are trying to get your dog used to teeth cleaning, then take your time and get him used to the attention and what is going to happen. Keep him calm and just brush a few teeth at a time each day, making sure you complete his mouth within a few days. Don’t try to do his whole mouth if he starts to get distressed. Eventually, he will know what to expect and you will be able to complete the job in one go, but it will take time for him to get used to it. Give him lots of praise and fuss after every tooth brushing session and make it something he will look forward to. Don’t make your dog dread tooth-brushing time – get him used to you handling his mouth regularly so it becomes normal. Check his teeth just using your fingers so he gets used to the feel and give him lots of praise every time. It will get him used to you touching his muzzle and teeth but will also give you more of an opportunity to spot any potential problems which may arise and might require action from the vet dental specialist. If you can’t use a brush with your dog then try using dental pads which you can use to rub on your dog’s gums and teeth to help keep them clean and reduce the build-up of plaque. As a bonus, these often come with a scent to freshen breath. To get your dog used to teeth brushing you could always try using the pads first, and then move towards wrapping one around your finger and rubbing his teeth and gums with it. Always stop any type of cleaning if your dog starts to get uncomfortable or upset. 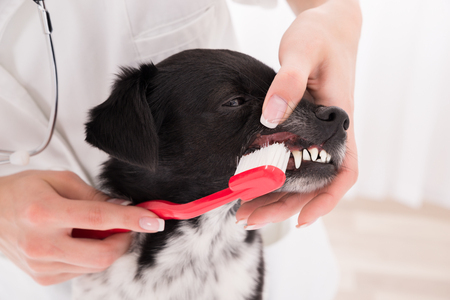 If your dog is not happy with having his teeth brushed then it makes sense to have regular appointments with a dental vet for him, just to make sure there are no problems, and to pick up on any issues before they start to cause him pain. They can thoroughly examine your dog’s teeth on a regular basis and let you know if any teeth look like they need removing or working on. It can also help with your pet insurance if you take him to regular check-ups. While your dog can’t tell you if he is in pain there are signs to look out for which might indicate a tooth problem. If your dog stops eating but seems hungry it could be that his mouth is hurting him when he tries to eat. Or if he starts eating with his head tilted to one side, he could be avoiding chewing on the side that hurts. Also if he is quieter than normal and hiding away, it could be a sign of pain and distress and we all know how painful a toothache can be, so if you do suspect there might be something wrong with your dog’s teeth then you should take him straight to the vet. As well as going to the dental vet for check-ups you should make sure his teeth are also professionally cleaned on a regular basis, to help prevent the build-up of tartar and plaque on them. The professional clean will also highlight any problem areas and will leave you with the peace of mind of knowing that your dog’s mouth is healthy for the next few months until you go back for the next cleaning appointment. Make sure your pet insurance covers routine and non-routine dental work for your dog because if he does need a tooth extracting it can become a very costly procedure due to the amount of work involved. So check that your insurance is up-to-date and includes all aspects of oral hygiene for your beloved pet so you don’t end up with an unexpected and nasty bill as the result of emergency dental treatment for him. 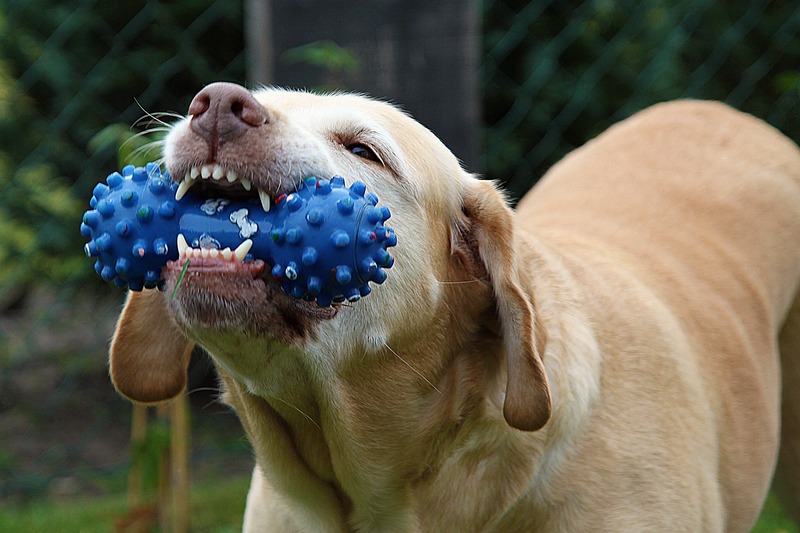 While it might not be easy to brush your dog’s teeth regularly there are plenty of other things you can do to help improve his oral health, so by offering dry food as an option daily and providing chew toys, you will go a long way to reducing plaque build-up on his teeth. 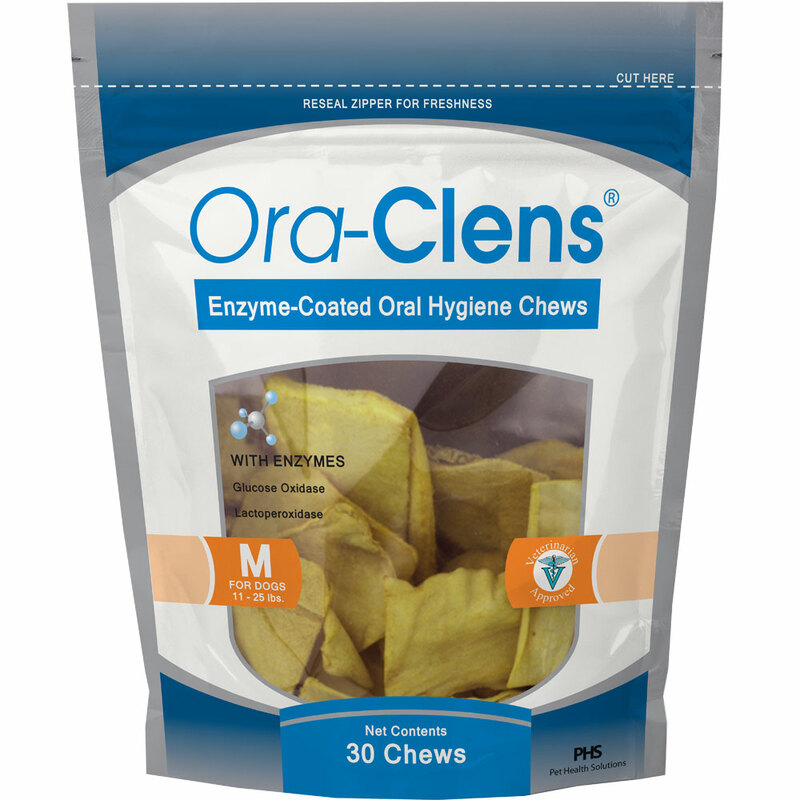 Using only dental-friendly treats for him and trying to clean around his teeth and gums with dental wipes, will all go some way to help keep nasty bacteria out of his mouth which could otherwise cause him all kinds of health problems potentially. Ultimately, taking him for regular check-ups with a veterinary dentist where his teeth can be professionally cleaned will also help to keep tabs on his oral health as they can spot any problems and address them before they start to cause pain. Make sure you have insurance to pay for this treatment. Looking after your dog’s teeth is an important part of his overall health regime and shouldn’t be left to chance. Bacteria from bad teeth and gums don’t just cause bad breath – they can also travel to other parts of the body and infect serious organs like the liver and kidneys – so not looking after your dog’s teeth could create severe health problems further down the line. The Dos and Don’ts of Taking Your Dog to Work What Role Does Diet Play in Dog Dental and Oral Health?